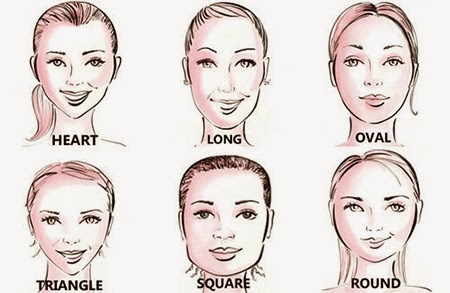 Determining you face shape is important. It can be very helpful with makeup application, hairstyles and finding the right pair of glasses (or sunglasses). If you use the wrong placement for makeup as an example, it can make your face look rounder, longer or older. 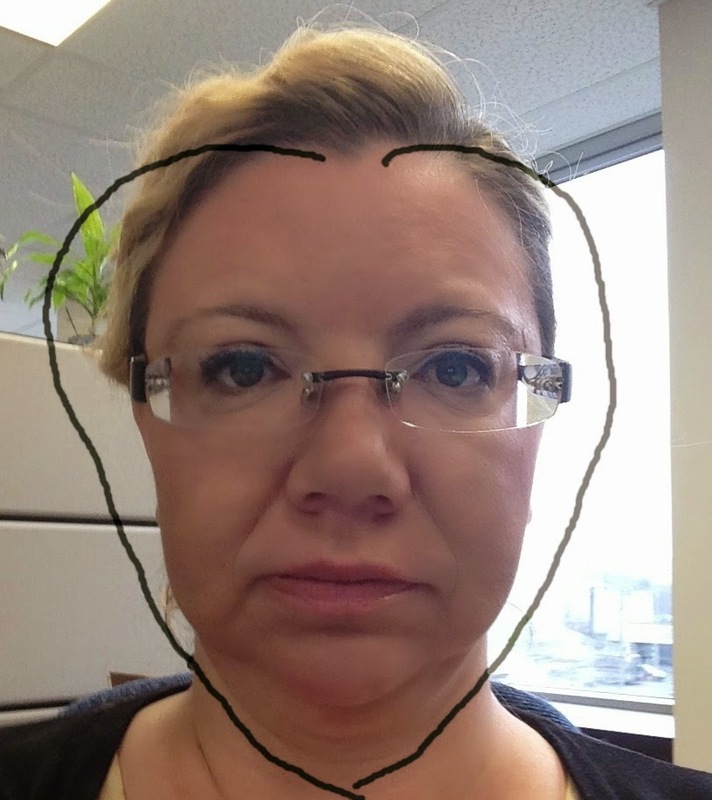 I find the easiest way to find your face shape is looking in a mirror. You can also look at a picture of yourself (looking straight) and draw a line just outside of the face – then you will have a better idea of what “shape” you have. Once you have done this, look at the shape you have drawn. Does it appear wider at the top or bottom? Is it round or more egg-shaped? Does it seem to have “corners” at the jaw line or forehead? Oval: Oval faces will have a forehead that is just slightly wider than your chin – think of the shape of an egg if you placed it upside down. Your jaw line will be a bit rounded and your face will be longer than it is wide. Square: The sides of your face will be straight and your face will be nearly as wide as it is long. Your jaw line is defined, with only a minimal curve. 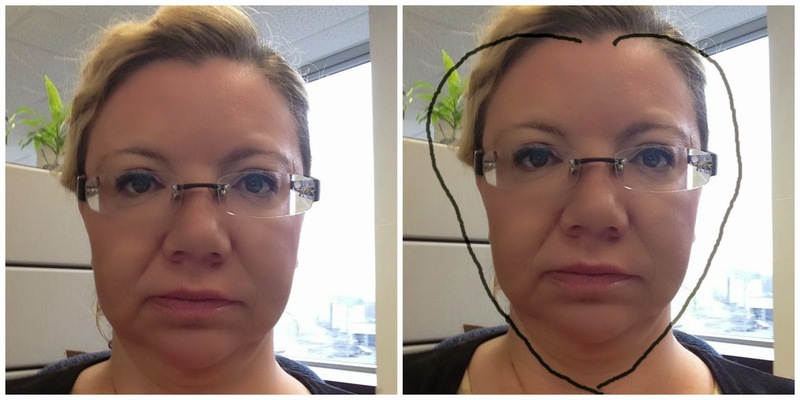 Round: People sometimes associate round faces with “chubby cheeks”, but that isn't always the case. If you have a round face, your cheekbones are just the widest part of your face and your jaw will be curved. Think of a square face, but with softer angles. Heart: A person with a heart-shaped face will have a long and pointed jaw line, with the chin being the smallest point of their face. Imagine a triangle flipped upside down on one point. Long: Long faces, or “rectangular” as it is sometimes called, are similar to oval and square-shaped faces. The only difference is the face is longer and less wide. Your forehead, cheeks and jaw line should all be pretty much the same width. Oval face - tend to look good in everything, but their faces can appear long, so be careful not to add height on top of the head. Also, if your hair is thick or curly, avoid a blunt cut. You'll look like a pyramid. Square face - play down strong, angular jaw. Texture, in the form of curls or choppy ends, does this brilliantly. Round face - you don't want short curly hair that makes your round face appear rounder, longer hair will work best. Make sure the cut falls a few inches below the chin or longer. Layered hair, with the shortest layer at the earlobe or lower, works for this shape. Long face - If you have straight hair, you can create more width with bangs (fringe). You can wear anything from blunt bangs to long, side-swept bangs. Chin-length bobs and cuts are also ideal for you because they create the illusion of width. Long, straight hair is typically a no-no on a long face shape because it drags the face down. However, you can break this "no long hair" rule if you have waves or curls. A lot of body adds width to the sides of the face. Heart face - shoulder-length bobs, long waves, and even shorter hair but remember to balance out the face with long, side swept bangs which "draw attention down and towards the eyes. The shortest pieces should be at the arch of your brow. The longest pieces should be at the outer corners of eyes. Do Not cut your bangs too short. Hope this was helpful. Thank you for reading!